Unfortunately, it often looks like this…. Professional quilting is a deadline driven business. I work on the deadlines given me by the customers. Having many deadlines to meet…. I don’t always have time to stop and sort fabrics at the moment they are given to me. I have to set it aside….. in the container it arrives in…. until I can sort through it later to put into a more logical order. Over the course of a year, the containers continue to arrive….. pile up…. to eventually take over my stash room. I use the time between the end of the Christmas rush and the start of the new year as me time to sort and decide what fabric will eventually be made into what quilt in the coming year. 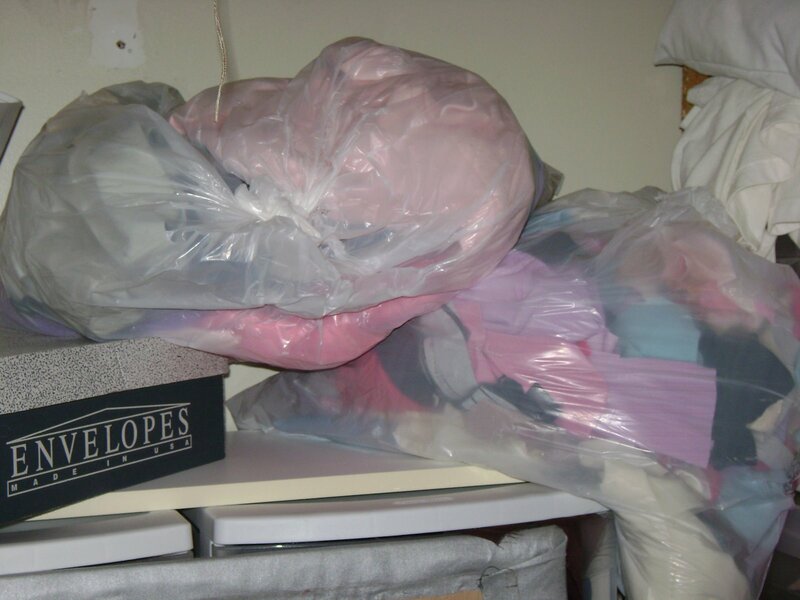 I’m taking what is piled and bunched up clutter…. 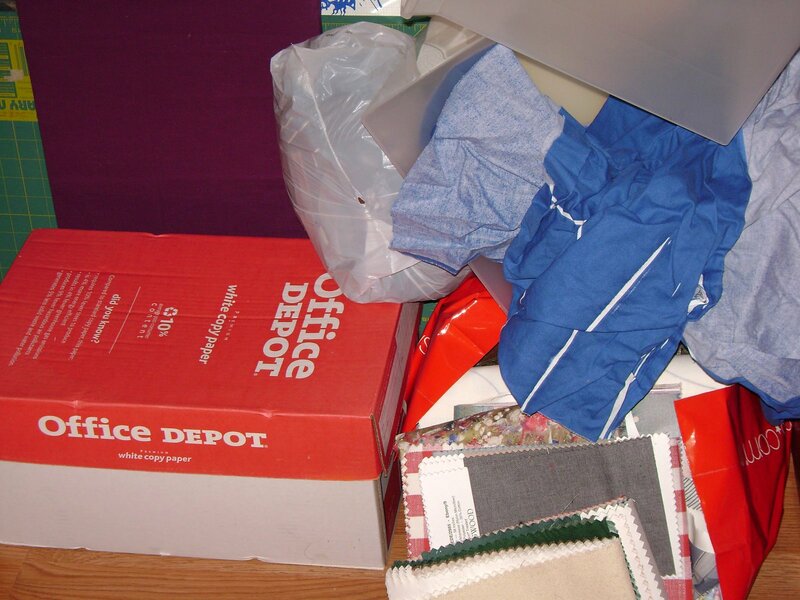 to create an organized clutter. My logic is…. 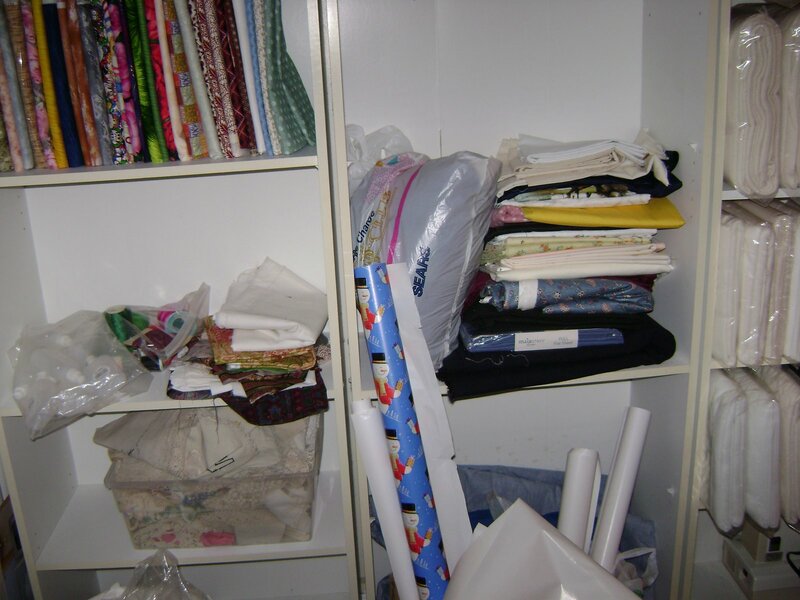 if it must stay in my stash room as clutter….. then at least all the pieces for each quilt are in one bag instead of scattered in different places throughout the room. What is not put into a kit gets put into my stash for easy access…. until it piles up again. 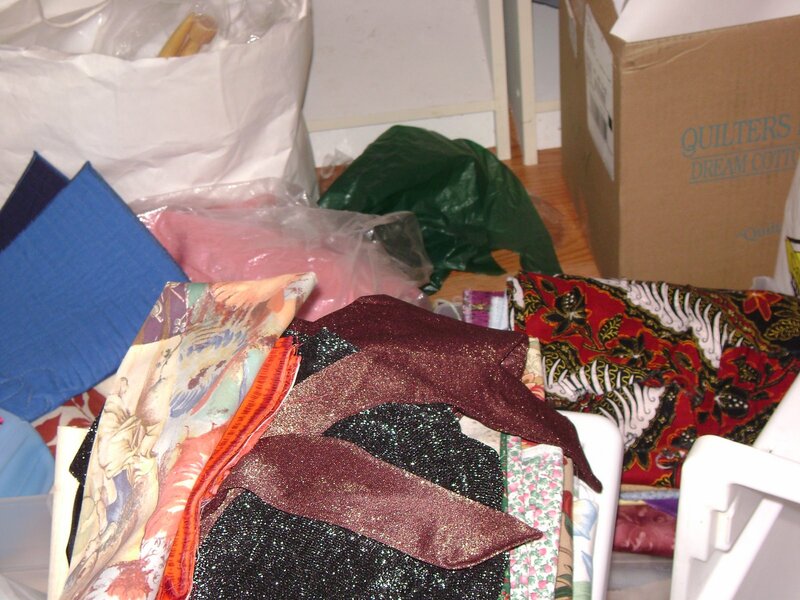 Granted… some of the kits won’t become quilts this year or maybe even the next. I already have 75 kits in there. Its not possible for me to do them all in one year plus all the commission work I will get. BUT… when I do pull out a kit I don’t have to ask myself…. what was I thinking when I put these fabric together in the bag. The pattern or idea sheet will be there too. Creating kits doesn’t stifle my creativity. I do start new quilts through the year. I can shop my stash or the LQS for just the right fabrics. I don’t always find all the right fabrics in one store during one trip. I will have an idea, draw out the design… then start gathering the fabrics…. over a few weeks or months… each time I shop. When I start gathering fabrics for my next quilt idea…. it will become a kit. Why? Well it goes back to an art quilt I began creating in September 2006. A quilt I’ve been working on for the past year. 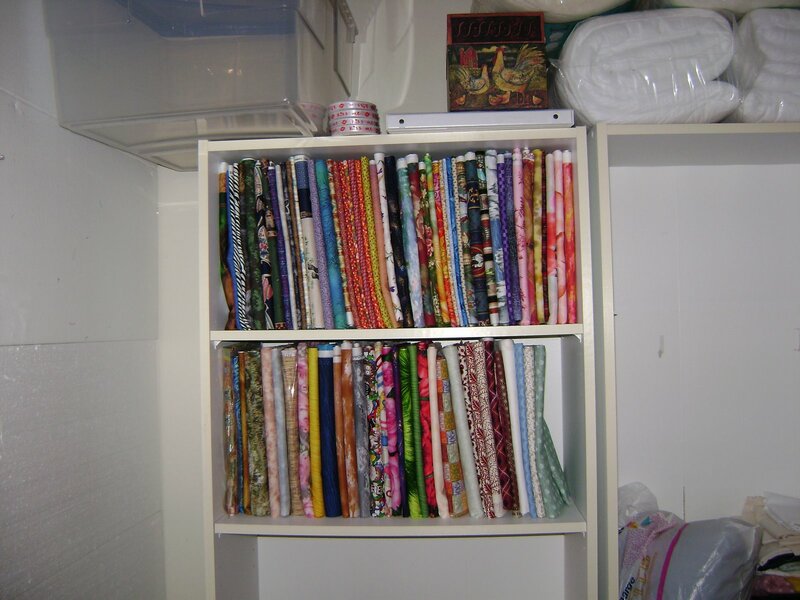 In October of 2007 I finished the center of the quilt….. went to get the border fabric….. eee gad….. I realized I had cut up and used the border fabric in a different quilt. I started a search for a replacement couple of yards to finish my quilt. The fabric is no where to be found…. anywhere. I’ve had customers check quilt shops all around the country on their vacations…… no luck. I searched dozens of on line sites for quilt shops, lost fabric, etc…… no luck. I don’t want this to happen again. From now on… when I buy fabric for a quilt… it goes into a quilt kit until the whole thing is finished… then it will go into my stash. 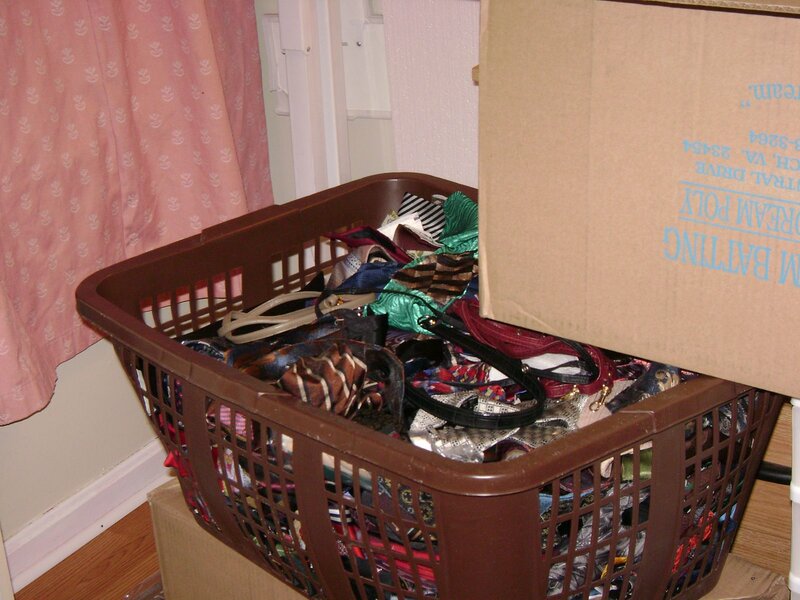 This entry was posted on December 14, 2007 by Anita in QUILTS - ORGANIZING.